These delicious and quick Cacao Energy Balls are a great little snack to make if you want something naturally sweet and easy to make! 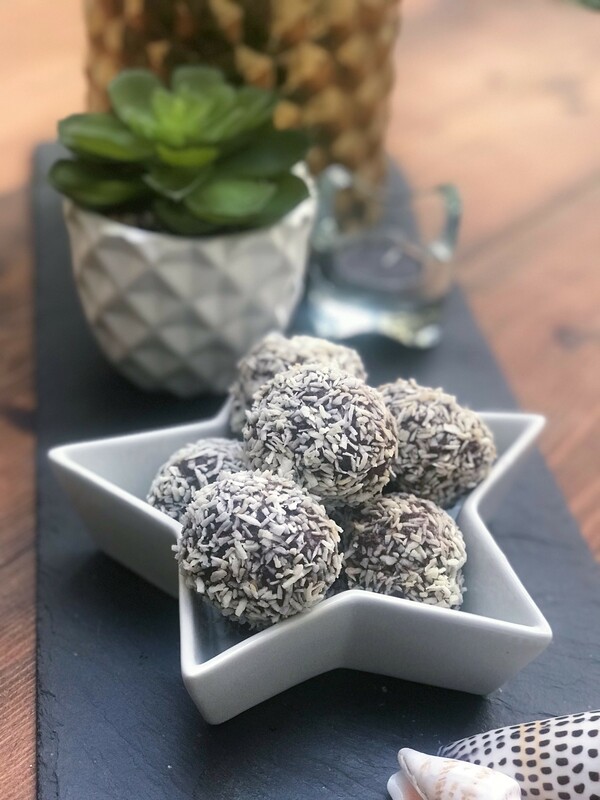 If you’re a chocoholic and are looking for a great alternative to chocolate truffles or want to make your own homemade energy balls, then this is the recipe for you! You can really personalise them and cover with whatever ingredients you wish! The recipe makes around 10 energy balls and is a great treat to do with little helpers in the kitchen! 1. Saving half the coconut for rolling, blend all the ingredients in a high speed blender. 2. If the mixture needs some help, add small splashes of water or plant milk until it combines. 3. Leave mixture to sit for 15/20 mins for the Chia to ‘gel’ up, then roll into golf ball size rounds. 4. Roll each ball in coconut flakes and chill. Thank you for this recipe to @JasmineAliceFit !